Friends passed with this school. It was important that i got on with my driving instructor. The hours i have to work are awkward but Tam managed to fit my lessons in. Tam was excellent and i passed my test first time. I understood clearly the instructors targets. I wanted a driving instructor who was friendly and willing to teach to a high standard. Learn Driving UK had good reviews and high pass rate. Learning to drive was easier and i got the hang of it quicker than i expected. Tam was very calm. I would definitely recommend him. I checked out Learn Driving U Ks pupil feed back, star ratings, word of mouth and experience of driving instructors. Tam was calm, and always kept me fully informed, giving me constant feedback both positive and negative, giving me belief. Tam made me feel so calm and comfortable, focusing on what i needed and putting up with my talking. Tam is a brilliant driving instructor, thank you so much. It was important that i passed my driving test. Learning to drive was a lot easier than i thought it would be. Anthony was the best. I would highly recommend him. Learn Driving UK had good reviews and pass rate, and LDUK had a lot of reviews. I wanted a friendly, patient instructor. Learning to drive was a lot harder than i expected it to be, but the support from Matt was a big big help. Matt's teaching methods were very east to follow and remember in every lesson. I would definitely recommend Matt, very helpful and friendly. Anthony was absolutely outstanding, he makes you feel really comfortable. Yes to everything, over the moon with Anthony. Friends recommended Matt and Learn Driving UK to me. I found learning to drive hard at first but got easier ans lessons went on. Matt was great, great teacher. He explains everything thoroughly. Being comfortable on my lessons and no pressure was important to me. I read some of the reviews online. Also they offered great packages on block bookings. Alex had availability for weekend lessons too which was great. I'm thrilled with Alex and his teaching and i passed my driving test first time. I enjoyed learning to drive and it exceeded my expectations. I would highly recommend Alex and Learn Driving UK, teaching was first class and always had time to explain everything to me. 100% recommend. I liked the package that Learn Driving UK offered. Fitting lessons around work was important to me. Learning to drive was better than i expected it to be. Alex's teaching methods were very good. Alex was very chilled and let me learn at my own pace. I chose Learn Driving UK because lessons were affordable, high quality teaching, cost and well established business. Alex has a high standard of teaching. Learning to drive took a lot more patience than i initially thought it would but very enjoyable. 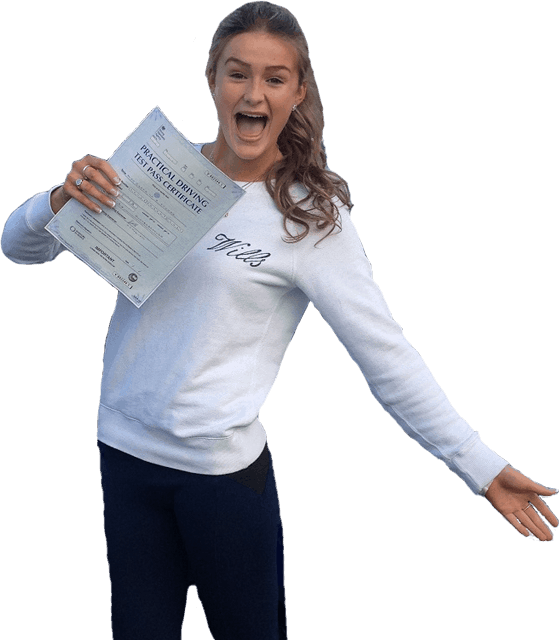 Alex's teaching methods were thorough and informative whilst keeping a relaxed environment. Learn Driving UK looked professional which was important to me, competence and personality of the instructor mattered too. Learning to drive was much easier than i expected it to be and i passed my driving test first time. Alex's teaching methods were very effective, better than the previous instructors i have tried. Alex is a very good teacher. Learn Driving UK were recommended to me. Alex was excellent. His teaching methods were excellent. I would definitely recommend. Availability was a big thing for me when looking for a driving instructor and pick up locations. Learning to drive was easier than i thought it would be. Chris Dawson's teaching methods were very good, easy to understand. I passed first time with Chris and i would highly recommend him to anyone. Peter was very good, excellent teaching methods. Would i recommend him? Big yes! Peter Andrews is very helpful and supportive. Location was good. Learning to drive was easier than i expected. Tams teaching methods were 10/10 and i passed my driving test first time. Learn Driving UK were a good recommendation. The price was good, lessons were made easy and better than i expected them to be. Tams teaching methods were very useful. I would highly recommend him. I wanted a driving instructor that offered high quality teaching, availability, quality lessons and affordable prices. I found all this with Peter Andrews and Learn Driving UK. Peters teaching methods were very effective and i passed my driving test first time. Peter has a lot of experience and a great teaching background. He has really helped me and such a speedy service. I wanted a driving instructor who would take their time with me and teach me everything i needed to know. I also wanted to be able to have frequent lessons. Learning to drive was a lot easier than i expected it to be. Peter Andrews was patient with me and took me through everything. I would highly recommend Peter Andrews as i had frequent, affordable lessons. I always got the information i needed from Peter. I wanted a driving instructor who was flexible and could build my confidence. I also wanted some one who was friendly and helpful. Peter Andrews was easy going, helpful and nice. Learning to drive was easier and more comfortable than i expected it to be.